The Grape & Wine Team at Penn State University is providing wineries with the opportunity to access a customer satisfaction survey. 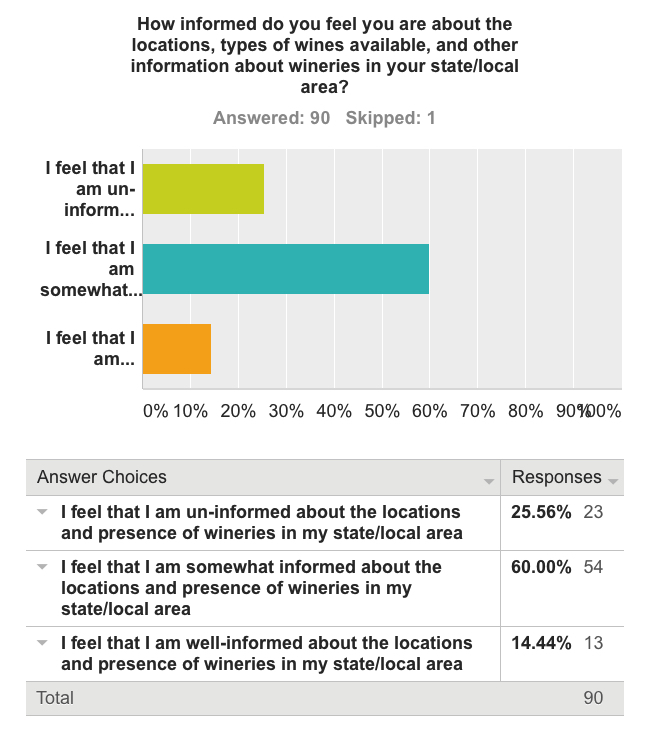 Collecting feedback from customers is a great way to gain valuable information and learn how to enhance your winery. Especially in tasting rooms, it’s important to understand customer preferences. Using knowledge like this improves customer relationships and promotes brand loyalty. New Jersey wineries have the chance to be a part of this study and are encouraged to sign up by January 15, 2016. Only 20 tasting rooms will be selected! Sign up today using the survey opportunity for tasting rooms questionnaire link. This survey opportunity is designed to assist winery managers to better understand wine purchasing behavior, tasting room experiences, and consumer preferences. For more information: view the Wine & Grapes U. Customer Survey Opportunity for Wineries blog post. To participate, submit the questionnaire by Friday, January 15, 2016. If you have any questions, please contact Kathy Kelley at kmk17@psu.edu. Special thanks to the Penn State University Grape & Wine Team!